Explore the fascinating world of diamonds from their formation over 3.3 billion years ago to their discovery in South Africa in 1867 that led to the famous Kimberley Diamond Rush. In this section you'll gain a greater appreciation for this fascinating gem and go beyond cut, colour, clarity and carat weight to understanding a diamond's character. Discover the world's most famous diamonds including the great Cullinan and Taylor Burton diamonds. 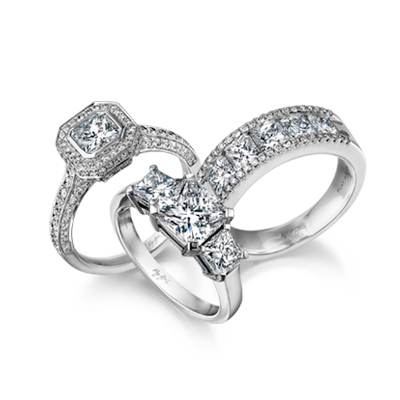 Marvel at the patented diamond cuts exclusive to Shimansky.